Chinese DiGRA is proud to support Global Game Jam 2016 Hong Kong to be held this coming weekend. 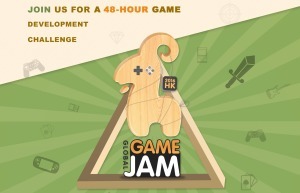 For the fourth time, the event gathers students and professionals alike to create games in just 48 hours. Join us for a thrilling, but relaxed jam at Cyberport!